Very eclectic hotel with attentive staff, the restaurant is superb, next trip to Phoenix we are staying here again. 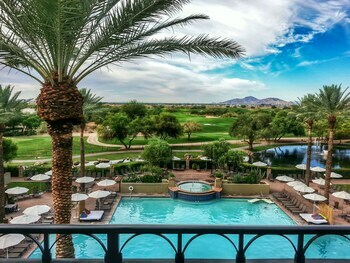 My friend and I stayed at this resort for our ladies getaway trip to Phoenix. 5 highlights of the Musical Instrument Museum. Opens in a new window. Spa scene in Phoenix. Opens in a new window. No excuses couples getaways. Opens in a new window. Scottsdale, three ways. Opens in a new window. Everyone was so helpful and nice! Pleasant surprise of a hot evening buffet as well as breakfast. The manager and desk personnel were always friendly and helpful. The shuttle drivers were also informative and friendly. The room was comfortable and clean. Just what we needed to finish off a great trip to Arizona! Where to find Phoenix hotels near an airport? 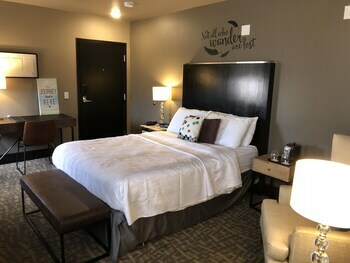 How can I find hotels in different Phoenix neighborhoods? Where can I find hotels in Phoenix that are near tourist attractions? Visitors to Central Arizona can find a wide variety of accommodation options to select from in Phoenix. If you are after a great place to stay within 0.1 kilometres (0.06 miles) of the heart of Phoenix, Expedia's hotel database lists at least 63 hotels and apartments within that area. 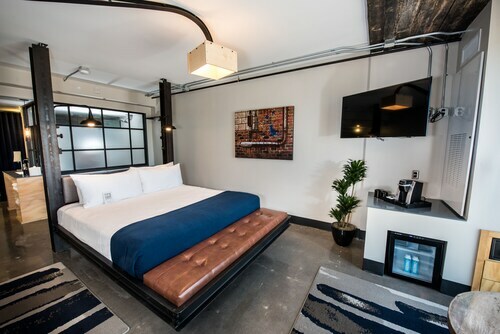 Within a 1-kilometre (0.6-mile) radius of Phoenix's city center, you can find a selection of accommodation options, including the Kimpton Hotel Palomar Phoenix Cityscape and Holiday Inn Express Hotel & Suites Phoenix Downtown-Ballpark. 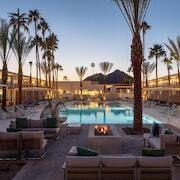 A great place to stay in is Scottsdale. Scottsdale is 15 kilometres (9 miles) from the center of Phoenix and is home to 75 places to stay. The The Canyon Suites at The Phoenician, Luxury Collection and Four Seasons Resort Scottsdale at Troon North are some of the places to base yourself here. Visitors will also find good accommodation in Tempe. This neighborhood is 13 kilometres (8 miles) from downtown. Some of the popular Tempe places to base yourself include the Courtyard by Marriott Tempe and Residence Inn Tempe Downtown/University. Another option is Mesa. Mesa is where you'll find the Hilton Phoenix/Mesa and Hyatt Place Phoenix/Mesa. 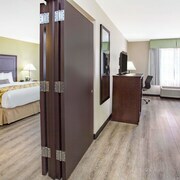 Or, you could try Chandler, where you'll find the Residence Inn by Marriott Phoenix Chandler Fashion Center and Sheraton Grand at Wild Horse Pass. 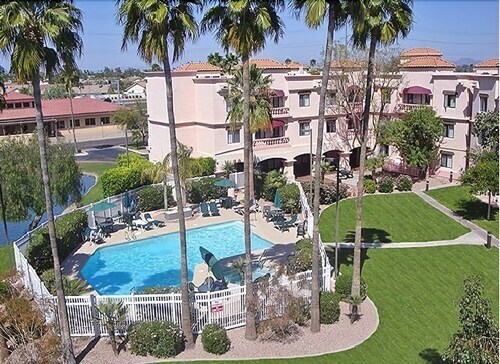 The Best Western Tolleson-Phoenix Hotel and A Victory Inn Tolleson are situated in Tolleson, while TownePlace Suites by Marriott Goodyear and Residence Inn by Marriott Phoenix Goodyear are part of the Goodyear area. Of course, a trip to Phoenix wouldn't feel complete if you don't make a visit to the Taliesin West. 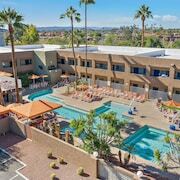 If you would prefer to book a hotel near this Phoenix landmark, consider the TownePlace Suites by Marriott Scottsdale and La Quinta Inn & Suites Phoenix-Scottsdale, which are all within easy walking distance. The The Westin Phoenix Downtown and the Hotel San Carlos - Downtown Convention Center are conveniently close to the Arizona State Capitol. The The Westin Phoenix Downtown is 2 kilometres (1 mile) away from the Arizona State Capitol. The Hotel San Carlos - Downtown Convention Center is 2 kilometres (1 mile) away. Sky Harbor International Airport is a convenient airport, and is 6 kilometres (4 miles) away from Phoenix. 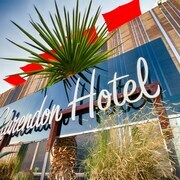 Conveniently located Expedia-listed hotels include Phoenix Airport Marriott and Phoenix Marriott Tempe at The Buttes. What are the most popular Phoenix hotels? Are there hotels in other cities near Phoenix? What other types of accommodations are available in Phoenix? Explore Phoenix with Expedia.ca’s Travel Guides to find the best flights, cars, holiday packages and more!